We are about half-way through the year and by this time, most people have abandoned their New Year’s resolutions. If you’re one of those people, you’re not alone. The good news is that you still have about 6 months to make good on those resolutions and improve your daily habits. Whether you want to lose a few pounds, be better about staying in touch with friends, or…drum roll please…floss daily, now is a good time as any to start! Start small. Have you ever heard the old saying, “How do you eat an elephant? One bite at a time.”? Don’t get too hung up on looking a month or a year ahead. Simply do the thing you need to do on a daily (or hourly) basis to accomplish the goal. Be consistent. If following a better dental hygiene routine is your aim, set a specific time of day and/or night to brush and floss and try to stick with that time. Set an alarm on your phone and don’t ignore it. This tactic is especially important for establishing a healthy sleep routine. Plan for obstacles. Particularly in the summertime, travel can get in the way of sticking to healthy habits. In relation to dental hygiene, it’s smart to keep an “emergency” travel kit handy and separate from your main toothbrush and other dental appliances. Going out of town is not an excuse to forgo flossing! Reward yourself. When you set goals, don’t forget to set rewards as well! For example, say your goal is to floss every day for a month. When you make it to that milestone, promise yourself the gift of an electric toothbrush (or something equally exciting). Do you feel like your habits keep you in control of your dental health? If not, it may be time to visit the dentist for a checkup. The team of professionals at Vacendak Dentistry can help set your mind at ease and give you the tools you need to feel good about your oral health and routine. Call us today at (757) 609-3510 to schedule an appointment. This entry was posted in Dental Care Tips, General Dentistry on July 11, 2017 by Vacendak Dentistry. Dental care is “whole body” care. The health of your teeth and jaw impact your overall health, so dentists do everything we can to prevent and diagnose potential issues before they become obvious and painful. Dental X-Rays are one tool we use to give the best possible care. X-rays are an important part of any dental treatment plan for people of all ages. We like to take pictures of all parts of the mouth, though not necessarily all during one routine exam. Bitewing X-rays show the tops of teeth and indicate early signs of dental decay. Periapical X-rays show the entire tooth from crown to supporting bone. 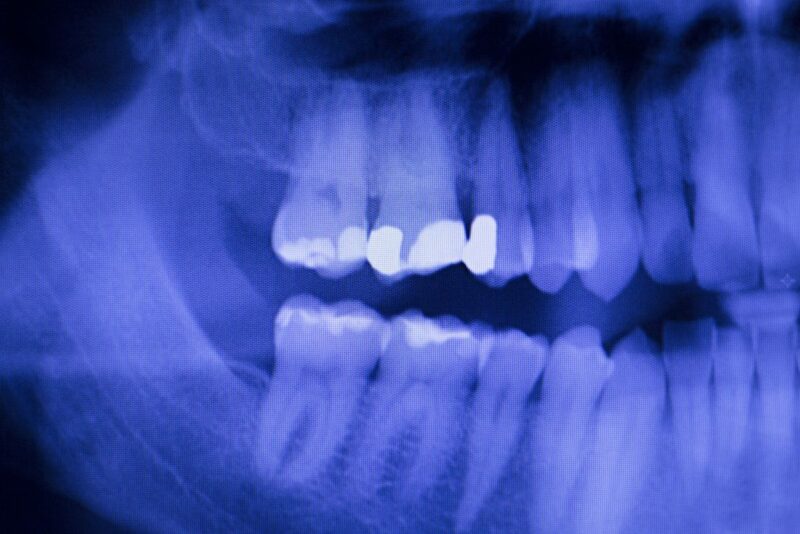 Panoramic X-rays are taken from the outside of the mouth and provide a full view of the oral cavity. When visiting a new dentist you can expect them to order a full set of X-rays in order to provide a complete view of your oral health. 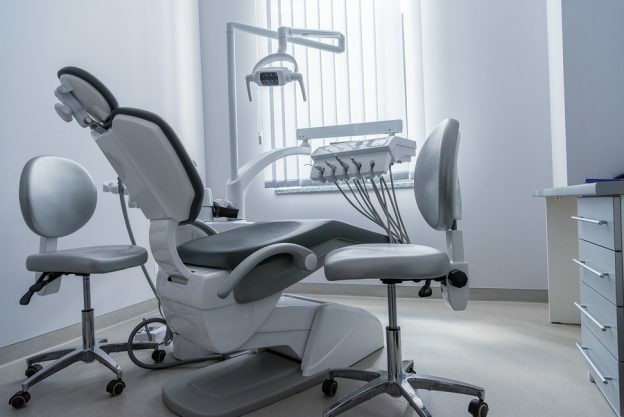 After that, the dentist probably won’t need new images at every routine appointment and will instead make an individualized schedule based on your age/needs. In short, yes. Today’s digital imaging technology minimizes radiation exposure. That, combined with the use of leaded covers for the abdomen and neck, make any worry about radiation negligible. This also assumes that you are in good health and not pregnant or breastfeeding. Your dentist will adjust if your medical history requires. If you or your child have never had dental X-rays before (or if it’s been a while), don’t hesitate to ask your dentist to walk you through their reasoning for administering them and what the process will be like. At the end of the day, X-rays help the dentist provide personalized care and help you have a better sense of the parts of your mouth you can’t see! Vacendak Dentistry uses the latest digital imaging equipment to prevent and diagnose dental issues. Call us today at (757) 609-3510 to schedule an appointment. This entry was posted in General Dentistry on May 23, 2017 by Vacendak Dentistry. Do I REALLY Need a Dental Check Up Every 6 Months? Answer: If it’s been more than six months or you’ve experienced any oral pain, then yes! Too many people assume that if their teeth look and feel ok, routine dental appointments are less important. The generally recommended twice-yearly dental visits slide to once a year or every other. Some even wait till they have issues like loose teeth, toothaches, or bleeding gums to call the dentist. This is ill-advised because proper preventative care does exactly what it sounds like–helps prevent more serious dental problems in the future. Like we say again and again, oral health impacts overall health. This means that a dental checkup isn’t just about teeth and gums. At Vacendak Dentistry, every visit involves a significant amount of time with the dentist, during which we address concerns you may not even know you had. For instance, each visit includes an oral cancer screening because the signs of such cancers are not always obvious, and of course, better caught early. That’s just one of the ways a visit at our office can improve your health and self-knowledge. We make an effort to help our patients understand the importance of daily routine oral hygiene. As part of that, there is a caveat for some individuals. Depending on your unique teeth and overall health, you may need to see us more OR less often. In order to know what is best for you, you’ve got to talk to the dentist. Get excited about your oral health! Maintaining it doesn’t have to be a chore. The doctors at Vacendak Dentistry can help. We are convenient located near the Kempsville area of Chesapeake and are accepting new patients every day. Call us now at (757) 609-3510 or contact the office online. We take most dental insurance plans. This entry was posted in Dental Care Tips, General Dentistry on March 25, 2017 by Vacendak Dentistry. What Should I Do After I Get a Tooth Pulled? There are several reasons a dentist may recommend a tooth extraction, including impacted wisdom teeth, advanced tooth decay that leaves a tooth unsalvageable, an orthodontic need to make room in the mouth, or other more complex dental issues. No matter the reason, most patients are nervous about getting teeth pulled, especially if it’s their first time. Have a trusted person drive you home post-extraction even if you weren’t fully sedated. You may feel nervous or lightheaded and it is safer to get a ride. Directly following the procedure, you will be instructed to bite down on gauze to stop the bleeding. Keep the gauze in place for at least 30 minutes and replace it with fresh gauze after 30 min if still bleeding. You may bleed minimally for up to 24 hours, but if bleeding seems excessive, be sure to call your doctor. Take your medication! If you’ve been prescribed antibiotics or painkillers, get your trusted person to make a stop at the pharmacy before you head home to rest. Once you have it, take it faithfully. This will minimize pain and keep you comfortable. Eat soft foods and avoid anything hard, sticky or crunchy for at least a week. No straws or smoking for 72 hours after surgery. Your mouth will thank you as this helps avoid disrupting the very important blood clot that needs to form in order for gums to heal. These are all things to keep in mind that will help shorten recovery and minimize pain. If you’re facing a tooth extraction, make sure you talk in depth with your dentist and closely adhere to all post-procedure instructions and recommendations. Getting a tooth pulled may feel scary, but it isn’t so bad when you have the facts you need to feel at ease. This entry was posted in Dental Care Tips, General Dentistry, Oral Surgery on February 26, 2017 by Vacendak Dentistry. New Year’s resolutions are pretty silly, aren’t they? We make them on January 1 only to abandon them when life gets in the way, sometimes as soon as February. It doesn’t have to be that way, however. It’s all in the attitude. No one is perfect and little by little, we can integrate positive habits with just a little extra self-discipline. Whatever you “resolve” to do this year, whether it’s getting fit, saving money, or taking more time for self-care, consider adding a special focus on improving your oral health. There are plenty of benefits of taking care of your teeth consistently. Helps prevent gum disease. Gums may seem like a small part of the body comparatively, but they really pack a punch when it comes to overall health. Gum disease correlates with a higher risk of heart disease and stroke, as well as diabetes. Brushing, flossing, and scheduling regular dental appointments all contribute to lower chance of periodontal disease. Saves teeth. Dentures are not an inevitability. You can keep your teeth by following the dental advice you know well. Promotes early detection of oral cancer. While good dental hygiene habits cannot prevent cancers of the mouth and throat, they can help reduce risk and regular dental visits help ensure that any cancer is caught early. At Vacendak Dentistry, we include an oral cancer screening as part of each routine appointment. Boosts your confidence. Strong, beautiful teeth are true assets to your self-esteem and can help you get far in your personal and professional lives. Good habits and regular dental visits work together to keep your teeth looking bright, white and beautiful. What’s stopping you? Get a jump on the new year and your new healthy habits! 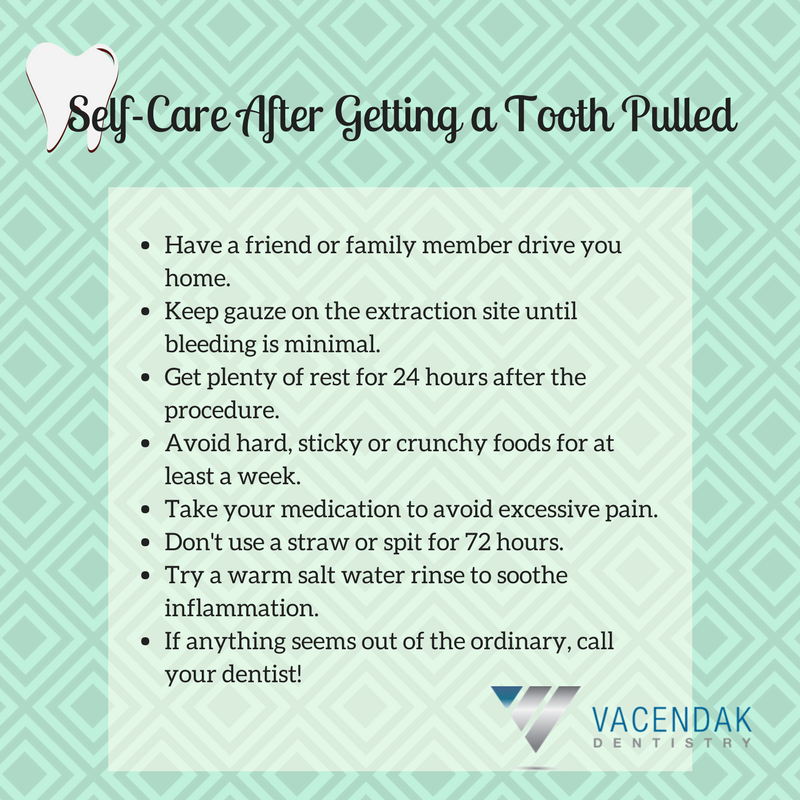 Call Vacendak Dentistry today at (757) 609-3510 to schedule an appointment for January. Our compassionate, professional staff will help you achieve your goals and make sure you leave with a smile on your face. This entry was posted in Dental Care Tips, General Dentistry on December 29, 2016 by Vacendak Dentistry. Teeth are for more than just chewing. They also play a big part in speech development and confidence. While talking comes naturally to many of us, we sometimes forget how complex speech actually is. Humans typically learn how to talk by listening and imitating those around them. This process involves a number of physical and neurological structures that work together to form words. These physical structures include mainly the lips, the tongue, the jaw, the vocal cords and the teeth. When one of the elements of successful speech is not functioning properly, people may develop delays or impediments. Teeth help us produce all kinds of sounds, including /f/ (“found”), /v/ (“virtue), /s/ (“sew”), /z/ (“zip”), the “ch” in “china,” the g sound in “gym,” and the “sh” sound in “shoe.” Teeth are also partially responsible for the voiceless” sounds like “th” (“thirst). Think about all the words that use these sounds and imagine how missing or misaligned teeth might make speaking more challenging. People who face these issues can benefit from visiting a dentist and/or orthodontist and in some cases working with a speech therapist. A confident and warm smile can brighten someone else’s day and put them at ease. When a person’s teeth are jumbled, discolored, or missing, they may be less likely to offer that smile or speak clearly. Talking quietly and mumbling are common in those with more “obvious” dental problems. This lack of confidence can be limiting both professionally and socially. Sometimes a teeth whitening treatment at the dentist is all a person needs to give them the courage to speak out loud and proud! We here at Vacendak Dentistry talk all the time (loudly and proudly might we add) about how dental health impacts all areas of a lifestyle. Let us take care of your teeth and hopefully help you feel more confident about the way you talk. Contact us to schedule an appointment today. This entry was posted in General Dentistry, Oral Surgery on September 25, 2016 by Vacendak Dentistry. If you’ve been on social media at all in the last week, you’ve probably seen a new report that suggests that flossing may not be medically necessary. According to the report published by the Associated Press, flossing, a dental hygiene mainstay since the early 20th century, has little scientific evidence of having health benefits. They note the lack of established scientific research behind the practice of flossing and its relation to incidences of gingivitis, plaque build-up and tooth decay. This has led many people to celebrate with relief: No more pressure to floss, right? Not so fast. “According to the American Dental Association (ADA), interdental cleaners such as floss are an essential part of taking care of your teeth and gums. Cleaning between teeth removes plaque that can lead to cavities or gum disease from the areas where a toothbrush can’t reach. Interdental cleaning is proven to help remove debris between teeth that can contribute to plaque buildup. More than 500 bacterial species can be found in plaque; some are good and some are bad for your mouth. Together with food debris, water and other components, the plaque buildup around the teeth and on the gum line will contribute to disease in teeth and gums. The important thing to note is the ADA’s emphasis on using floss and other interdental cleaners correctly in order to receive the benefits. First things first: choose the floss that’s right for you. Waxed or unwaxed, think ribbon or thin thread, it doesn’t really matter, as long as you follow these basic guidelines when using it. Sidenote: Handheld interdental cleaners are also just as effective as traditional dental floss! If it sounds simple, that’s because it is. Don’t pay too much attention to the trendy buzz surrounding the questionable merits of flossing. Take it from these dentists: Along with brushing and regular dental visits, flossing is one of the best allies against gum disease and tooth decay! This entry was posted in General Dentistry, Preventive Care on August 4, 2016 by Vacendak Dentistry.